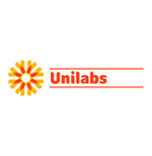 The laboratory CYPA ULAP SA is one of three centers of expertise of the department Pathology Unilabs Switzerland and offers full service pathology with the most modern techniques. Installed since August 1, 2011 on the site Biopôle in Epalinges, our laboratory provides medical diagnostic and support covering all specialties of pathology with the possibility of collaboration between different group sites. The diagnosis is performed by six medical doctors, specialists in pathology, some with academic reputation. Our structure is engaged constantly in a quality assurance process and is accredited ISO 15189 for increased quality. Our pathologists work closely with hospital doctors, private practice and private clinics and regularly attend Tumor Board meetings of multidisciplinary oncology consultation. Our laboratory is actively involved in various cancer screening projects with the Vaudoise Foundation for cancer screening. Our areas of expertise: Gastroenterology and Hepatology, gynecology, breast imaging, ENT, urology, endocrinology, pulmonology and dermatology. 1) Histopathology: analysis, endoscopic biopsies and surgical specimens spanning all medical-surgical specialties. 2) Cytopathology: analysis of smears and gynecologic and non-gynecologic FNA (urine, bronchioloalveolar lavage, pleural effusions). 3) Hematopathology: hematopoietic tissue, bone marrow aspiration, smears and biopsies of the bone marrow. 4) Molecular pathology: large panel of molecular analysis (immunohistochemistry, flow cytometry, in situ hybridization, PCR), especially in determining the therapeutic sensitivity in the field of diagnostic oncology.